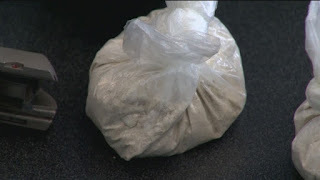 Sacramento, Calif. - Today a Federal grand jury returned a three-count indictment today against Stockton residents James Moore Jr., 42, and Calvin Daniels, 50, charging both men with distributing heroin near a school zone and conspiring to distribute heroin. According to court documents, Moore and Daniels allegedly conspired, together and with others, to distribute heroin in San Joaquin County in 2017. It was further allegeed that Moore and Daniels distributed heroin near public elementary schools in Stockton on at least two occasions. Moore is alleged to have distributed heroin within 1,000 feet of the John Marshall Elementary School on Lever Boulevard in Stockton in April 2017, while Daniels is alleged to have distributed heroin within 1,000 feet of the Rio Calaveras Elementary School on East Bianchi Road in Stockton in February 2017. This case is the product of an investigation by the FBI’s Stockton Safe Streets Task Force, the Reno Safe Streets Task Force, and the Stockton Police Department with special assistance from the San Joaquin County District Attorney’s Office. Assistant United States Attorneys Timothy H. Delgado and Jason Hitt are prosecuting the case. If convicted of distributing heroin near a school zone, Moore faces a maximum statutory penalty of life in prison and a $16 million fine, while Daniels faces a maximum statutory penalty of 80 years in prison and a $10 million fine. If convicted of conspiracy to distribute heroin, both men face a maximum statutory penalty of 40 years in prison and a $5 million fine. No Comment to " Indictments Handed Down For Two Men Accused of Dealing Heroin Near a School Zone "